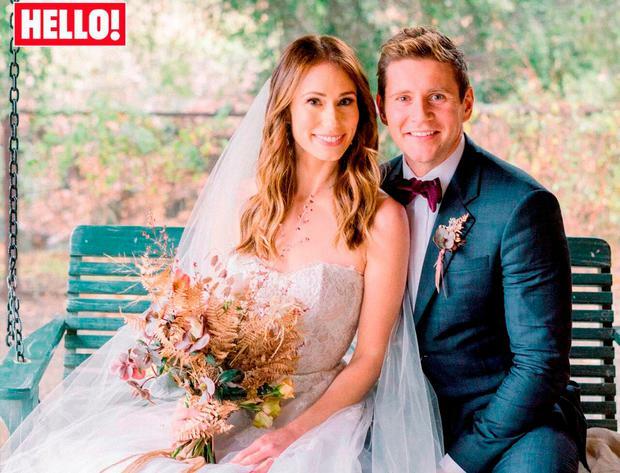 The stars of 'Downton Abbey' reunited for the marriage of Irish actor Allen Leech to actress Jessica Blaire Herman last week. And even though they got married in the Sunshine State of California, some heavy 'Irish-style' rain managed to disrupt the ceremony. Michelle Dockery, who played Lady Mary in the hit series, and Dan Stevens, who played her tragic first husband Matthew, joined the party in California to see Allen and his bride exchange their vows. The Dublin actor and Jessica said 'I do' on January 5, in the Santa Ynez Valley. The star-studded ceremony was also attended by 'Bohemian Rhapsody' actor Rami Malek - who won a Golden Globe for the role last week. Leech, who played Freddie Mercury's manager and boyfriend Paul Prenter in the award-winning Queen biopic, said he would never forget watching Jessica walk down the aisle. The 37-year-old told 'Hello!' magazine: "That moment of seeing Jessica, oh my God, it was magical. It will stay with me forever." Jessica , whose acting credits include US TV shows 'American Crime Story', 'Modern Family' and 'New Girl', wore a Monique Lhuillier gown with Yves Saint Laurent heels. The 32-year-old said of her husband: "As soon as I met him, there was a sense of ease and comfort, that I knew marriage would be uncomplicated and beautiful with him." Leech, who wore a navy Armani suit on the day, said the ceremony had been disrupted by bad weather but that his friends had stepped in. "It ended up being something quite different. When you get married in California you expect sunshine, but a little bit of Ireland blew over on the day and we had some heavy rain," he said. Former 'Glee' stars Darren Criss and Lea Michele sang at short notice after the string quartet booked could not perform due to the rain. "Everyone rallied round, the weather only made the day more epic," Allen told this month's edition of 'Hello' magazine, which features the wedding. He will reprise the role of Branson in the big screen version of 'Downton Abbey' due for release in the UK on September 13. 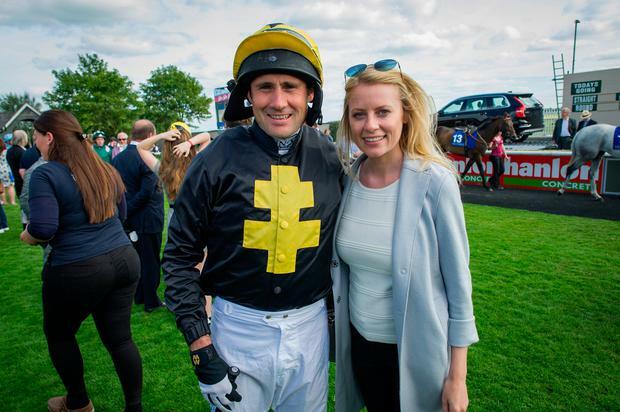 Meanwhile, Dublin Sky Sports presenter Rachel Wyse married her millionaire showjumper fiancé Tim Gredley on Saturday. After tying the knot, the couple celebrated with a lavish flower-filled reception at Adare Manor in Co Limerick. Tim and Rachel have been together for nearly two years, with her announcing their engagement on Instagram last February, with a caption saying "the easiest yes". Harriet Alexander Actress Gwyneth Paltrow has revealed that her ex-husband Chris Martin joined her and her new husband on an extended "honeymoon" to the Maldives.